Keiser Air300 Leg Curl Pro - Train at the speed of Life! Power Up Now! MORE POWER TO THE HAMMIES! Completely redesigned for speed. Sounds silly, since all Keiser machines can be used at speed, but as Keiser’s users get faster using Keiser, so too, do the machines. It also weighs 40 pounds (18 kg) less than its predecessor, Keiser’s Pro leg curl features lighter moving components that allow for training at even faster speeds, as well as slow eccentric loading of the hamstrings. 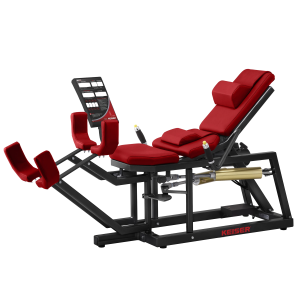 Offering unilateral or bilateral leg training, a wide resistance range and improvements that include a computer display in line with the user’s sight, ergonomically positioned thumb buttons and a contoured chest pad for added comfort make it the leg curl of choice for athletes and people in rehab. 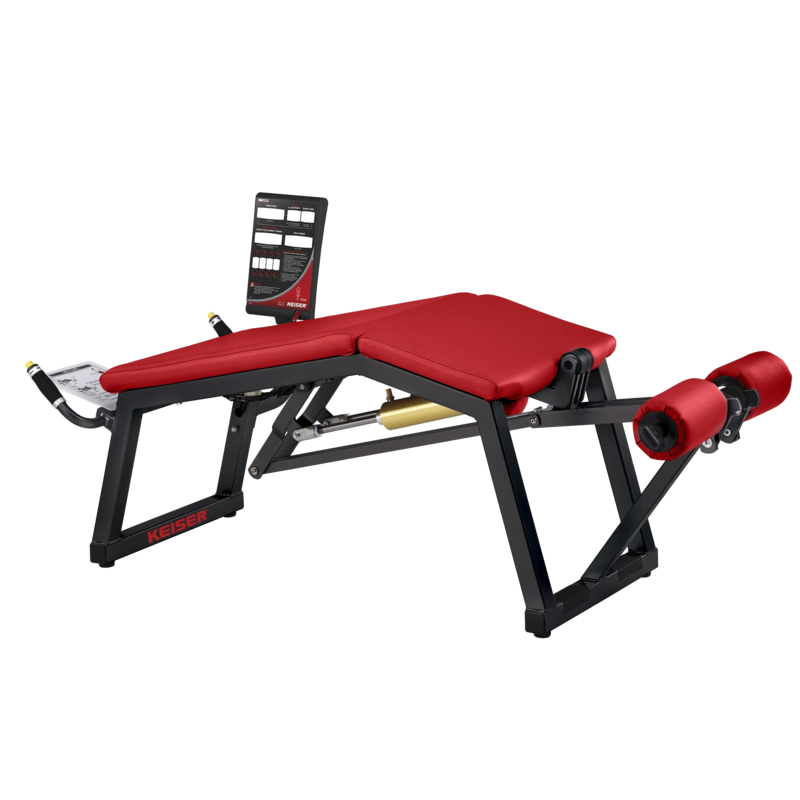 The Keiser Air300 Leg Extension with its unique unilateral movement is a perfect match for rehabilitation and sports specific applications. Keiser’s pneumatic technology allows users to train at unlimited speeds, making it ideal for power training. The additional benefit of the unilateral movement also helps correct strength imbalance. Training hamstrings at the speed of the game trains the brain to better control the firing of the hamstring, thus helping to prevent injuries. The independent exercise arms allow you to train as you play, with independent action, and brings in the ability for faster reactions to proprioception and its reactive requirements during life to the equation. You can even train like a bicycle (as one leg is going up, the other is coming down). And don’t forget about the ability to do heavy negatives (read about the benefits here), which has also been shown to help prevent hamstring injuries. With Keiser’s Pneumatic Resistance Technology, the muscles remain active and engaged throughout the entire range of motion and velocities, with reduced shock loading to muscles, connective tissues and joints, which allows for workout regimens that can safely improve physical performance in ways not seen with traditional strength training methods. Read about the science here and watch the video here. As in all Keiser strength machines, the Keiser Power Display on the Keiser Air300 Leg Curl strength and power machine provides information on both resistance (in either one-pound or one-kilogram increments for strength equipment) and repetitions performed in clear, 1-inch sized numbers. The Keiser Power displays also feature the Keiser eChip System: a simple-to-use electronic workout card that recalls previous workouts and settings, and easily downloads data to your personal computer via our eChip dongle. It’s time to build strength at speed – AND THAT’S POWER! In ancient times, when we trained outside by picking up stones and throwing them we were actually training for power. In more modern times, as our training moved indoors and we used iron weights, we lost our power training, because we could not throw the iron; and therefore, lost the ability to lift at speed. We actually trained better centuries ago then we have in the last century. We let the iron dictate our training, instead of choosing a training system that would develop Power. 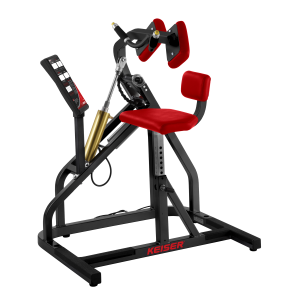 Keiser can develop Power, Power is the Key to Performance; therefore, Keiser is the Key to Performance. Keiser’s variable resistance is the key to building strength faster. While iron typically loads you heaviest at your weakest position and lightest at your strongest position, Keiser loads you heaviest at your strongest position and lightest at your weakest position, regardless of training speed. This maximizes your strength gain and minimizes your risk. Keiser’s pneumatic resistance allows you to train at any speed. This fully engages your brain in the exercise and retrains your central nervous system to better control the contraction of your muscles. That means you train your brain to make your muscles do exactly what you want them to do at the exact moment you want it done. Your ability to build strength at any speed on Keiser is the key to building power. Our six-repetition test will tell you the resistance at which you generate your maximum power. 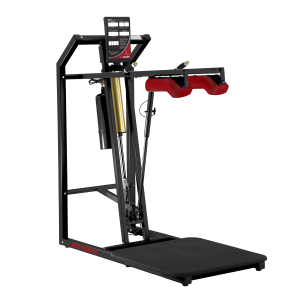 If you choose, set to that resistance and move as fast as you can on your concentric contraction and you will be training for MAXIMUM POWER – SAFELY WITH THE LOWEST RISK OF INJURY POSSIBLE ON STRENGTH MACHINES. Please contact us to check stock levels. We always try to deliver as soon as possible, but we may have lead times on any product depending on stock level at the time. As the products in our ranges vary, we need to have a range of delivery options. These depend on the product being purchased, where its delivery point is and the resources needed for the job. You can see more in the Delivery page and the Returns pages, links for which are found in the footer. Note: For large or heavy items we normally offer a kerbside pallet drop only. Please contact us (links in the main menu and the footer) if this is not suitable as we can offer full installation services. If your order qualifies for free delivery, delivery point postcodes that begin with the following are excluded: BT, KA27, KA28, FK18-FK21, HS1-HS9, IV1-IV63, PA20-PA88, PH17-PH50, KW1-KW17, PO30-PO41, ZE1, ZE2, ZE3, IM, IOM, JE and GY. Postcode exception areas include Scottish Highlands & Islands, Isle of Man, Channel Islands and Northern Ireland. Returns Policy: You have fourteen (14) days, from receipt of cancelled goods, to notify us if you wish to cancel your order or exchange an item. For more information on our returns policy, links for which are in the footer.